The modern massive building structures are house to thousands of individuals and to cater to their needs, these structures are studded with a number of piping systems including water and gas to provide the basic amenities of life to the residents. However, these systems become a problem affair when there is a leakage in the network, which is hard to identify and rectify. This is where the owners of the structures look for the solutions to get to the core issue by hiring the services of a GPR scanning service company. 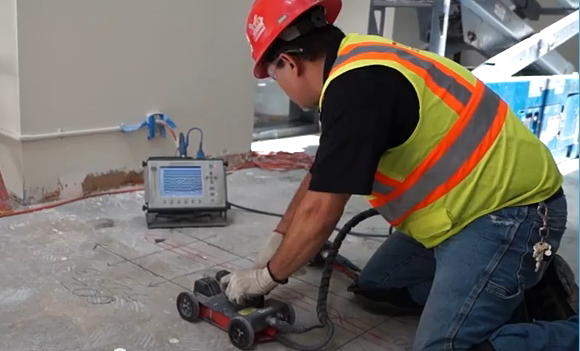 A GPR concrete scanning allows the building owner to identify exactly where the leakages are, and the scanning company recommends them certain ways to get to the problem and rectify it in an efficient manner. The biggest challenge for the GPR scanning company comes when a certain area has already been developed or another structure has been constructed on top of the area. This is where it becomes very difficult to identify the leakage areas and the quantum of the damage to the building structure. The GPR scanning not only allows to get to the core of the piping leakages problem but also helps companies to know what is beneath the surface or ground. The best advantage of a GPR scanning service is that it saves you from making various drills and holes into the structure, rather it gives you a clear picture of what exactly is happening to the piping network inside the concrete slabs and makes it easier to find out ways to get done with it. The state-of-the-art GPR scanning service produces two-dimensional (2D) or three-dimensional (3D) images for the building owners and the engineers to evaluate the problem and its size, so as to figure out ways to rectify it. The trained technicians scan the specified area using the GPR scan which sends out short pulses of energy waves into the ground. The echo returns with the 2D and 3D images and identify issues with the pipes and other utilities inside the concrete slabs. The scan also calculates the time it took to receive the echo to identify the approximate distance of the problem area. The GPR scans are mostly used for detecting leakages in the underground structures in a building, determining the thickness of the concrete or asphalt slabs, locating the distance of the roots of old and mature trees, indicating the problems in installed cables, piping network, and cavities, and identifying the type of underground structure including septic tanks, sewer lines, and unmarked grave sites. In the light of the GPR scans, the job of concrete cutting or asphalt cutting a lot easier.